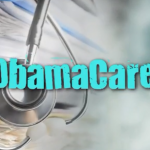 It has been a campaign tradition: Election cycles filled with ads about the Affordable Care Act — and overwhelmingly ads attacking the law and those who support it. The 2014 midterm election could be even more intense. A major force behind the tea party movement, this conservative/libertarian group was founded by billionaire businessman David Koch.